PART OF THE FAMILY… Shepparton Villages catering manager, Geoff Scales celebrated more than 25 years of employment with the organisation, joining 22 others who were also recognised for their milestones at the AGM. Photo: Katelyn Morse. TWENTY-THREE staff at Shepparton Villages were recognised for their long service milestones at the organisation’s AGM this year. Clocking up 10 years was Wayde Vider, Geoff McKendrick, Glenys McQualter, Jillian Hall, Bryan Wayman, Susanne Taylor, Jackie Nightingale, Edward McNair, Kerri Sitters, Fiona Thomson, Melissa Lepp, Heather Dover and Alisha Brown. Clocking up 15 years was Dawn Rogers, Leanne Hotchkiss, Lynne Coe, Jodie Toohey, Sue Cahill, Joanne Whennen, Anne Maree Bramley and Virginia McPhillamy. Helen Pierce celebrated 30 years of employment and Geoff Scales celebrated more than 25 years. 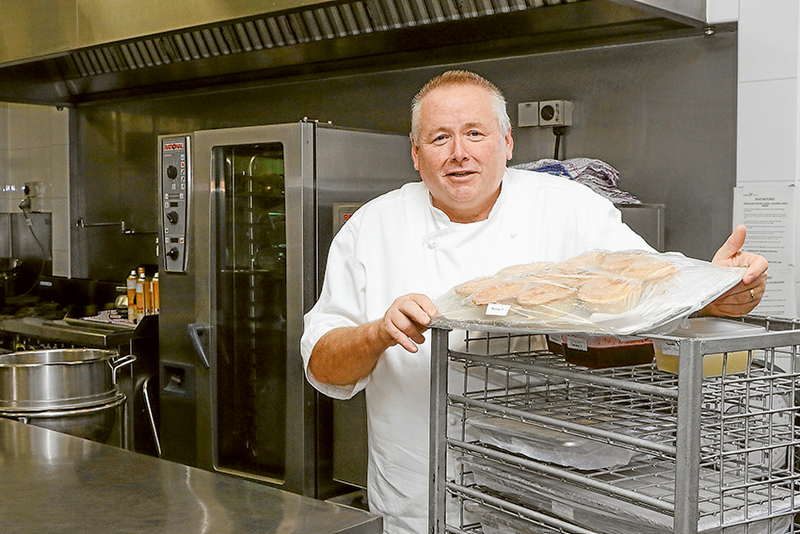 Starting his stint with Shepparton Villages as second chef on December 21, 1991 and today carrying out his role as catering manager, Geoff Scales said, “I have seen a few changes in my time. The stand-out moments would have to be seeing the construction of all the facilities; Mooroopna, the new Banksia and Arcacia and Maculata Place as well as the new production kitchen, which was a big deal for us. “I’ve been cooking for 40 odd years and have gone from a pan and wooden spoon to now using a $70,000 Bratt Pan. There have certainly been many changes in technology.